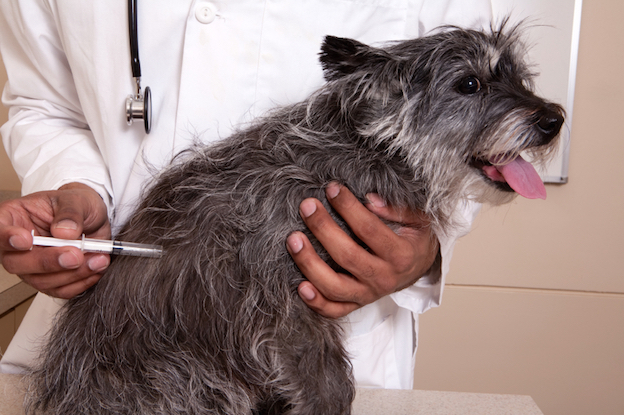 The public has been urged to vaccinate their pets. Dog owners are urged to have their pets vaccinated with the five-in-one vaccine. Death is inevitable if your dog has been infected with the distemper virus, Scott Vet’s Dr. Debi Subramanian emphasised to South Coast Herald. According to Dr. Subramanian, the virus is very similar to rabies, and dog owners are warned to exercise extreme caution. A Gandhinagar couple had no choice, but to have their beloved five-month-old puppy euthanased last week, after it had become infected with the virus – the puppy had already been infected for well over a week. Distemper, which is an airborne virus, shows varying symptoms in dogs. However, these most commonly include twitching of the forehead, nasal discharge, vomiting and diarrhoea. The virus is closely linked with the measles virus in humans and, because of this, human beings can also become infected with the virus. However, it should be noted that while the virus can successfully replicate itself in the human system, it produces no illness and no symptoms. Further symptoms in dogs include coughing, lethargy, fever, shivering, seizures, paralysis and drooling. “The distemper virus hit the North Coast a few years ago and hundreds of unvaccinated dogs died. We would like to prevent this happening on the South Coast,” said Dr. Subramanian.